Panasonic&s Hybrid IP PBX system is a powerful communications tool designed to support businesses in today&s Converged Networking age. 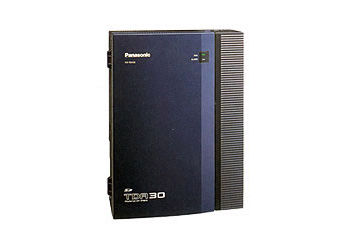 KX-TDA30SN provides advanced telephone and messaging solutions, efficient and flexible communications, DECT Wireless Mobility, Voice-Over-IP, and seamless integration with your PC through plug-n-play USB connection. In line with Panasonic&s commitment to user-friendly operation, the Hybrid IP PBX system is easy to use, even if you don&t have a lot of IP experience. KX-TDA30SN lets you keep pace with leading-edge technology and features that will completely transform the way your company communicates.